If you're not yet familiar with the concept, "gravel" is a relatively new trend in the cycling industry. Event organizers are creating "gravel grinders" and bike manufacturers are introducing gravel specific bikes. 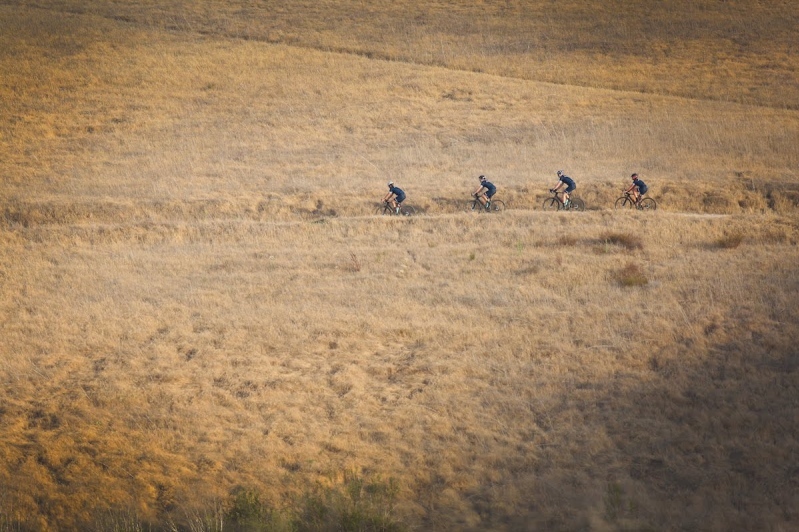 Also called "adventure" or "all-road" bikes, gravel is not to be confused with cyclocross. While there are similarities, as both disciplines involve drop bar bikes designed for off-road use, gravel bikes generally allow for wider tire clearances, have more relaxed geometries for endurance riding and have features that allow for bikepacking adventures. While this recent surge in gravel has been very exciting to watch, the concept is actually nothing new. In fact, some would argue that gravel is really just the return of old school MTB. Tom Ritchey, one of the founders of mountain biking, explained in a recent interview how in the early 70s he would ride with his buddies on trails in the redwood forests of Santa Cruz on their drop bar race bikes years before the first mountain bikes were introduced. They would endure long epic rides over the Sierra Nevada that a drop bar bike was uniquely suited for. However the current environment and latest technologies have brought this recent trend to its current height. Social media provides endless inspiration for new places to explore, roads seem increasingly dangerous to ride on and adventure can be more attractive than racing. For the same reasons that I first fell in love with mountain biking in the late 90s, I have found a similar passion for gravel. The opportunity to escape, the thrill of riding on dirt and the fun had with friends. There are no preconceived notions of what a gravel rider is, no rules about apparel and even the bikes in this space are widely different. The gravel experience is something truly unique, and something you have to experience as a rider to fully appreciate. The idea with Gravelstoke was create a destination for those who share a similar passion. A dedicated space to capture the culture, lifestyle and trends that are beginning to define this community. The goal was to create a brand that was completely dedicated to the movement, and begin to offer specific soft goods for the discipline. I also saw an opportunity to bridge the gap between trail advocacy organizations like SDMBA, and this other category of trail users. While many such organizations have "mountain bike" in their name, we are all trail loving bike riders who want the same things from an advocacy perspective. As trail users we appreciate the challenges and opportunities faced in protecting and promoting bike access around the country and in our backyard. For that reason we decided to partner with the SDMBA early on. We co-promoted our weekly gravel rides in early 2018, and donated a percentage of proceeds from the sales of our very first cycling kit. On June 3rd of this year we held our first event, Hunt of the North, which received a lot of support from the local community and brands from around the country. Again, we were thrilled to have SDMBA as our non-profit partner for this event. We hope this inspires gravel riders to become more involved with their local trail organizations, and activates those organizations to look more broadly than their mountain biking core. Today we continue this journey by creating inspiring content, unique events and a few products. We are excited to have currently launched a collaboration with Eliel Cycling, a local cycling apparel brand, on a line of cycling kits and socks for men and women. 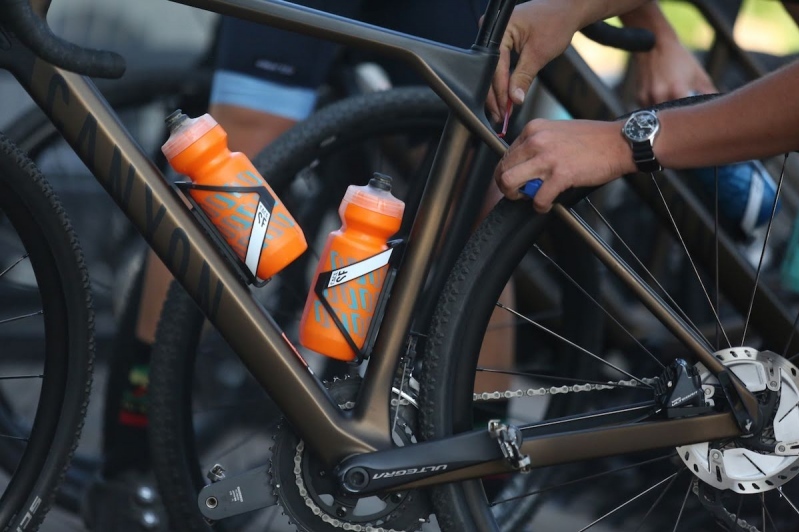 We also have a growing relationship with Canyon Bicycles for gravel rides and content. We continue to look for strategic partnerships to further promote the sport and hope to inspire a new generation of trail users. SPECIAL OFFER: Gravelstoke is also offering 10% off to all current SDMBA members on branded Tshirts, water bottles, etc. More info on member discounts HERE.